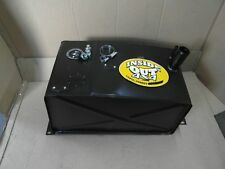 ESR2242 Defender 90 Fuel Tank. Part Number: ESR2242. 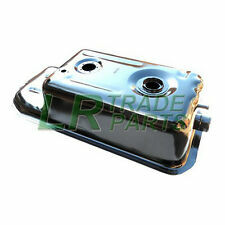 Land Rover Defender 90 New Petrol/Diesel Fuel Tank. Land Rover Defender 90, (1986-1998). Defender Parts. Series 2 & 3 - Defender 90/110/130, Discovery 1,2,3,4,5 & Sport - Freelander 1 & 2 - Range Rover Classic, P38, L322, L405, Sport & Evoque. PART NO 552174. THIS ALSO APPLIES TO NORTHERN AND SOUTHERN IRELAND AND THE ISLE OF WIGHT. WE CAN ALSO DO TANK SENDERS AND PIPES IF NEEDED. Low mileage and good working order ready to fit. Will fit many other Discovery 2 Td5 models. Sold exactly as Pictured. GENUINE DISCOVERY 3 2.7 TDV6 FUEL TANK CRADLE. FITS DISCOVERY 3 FROM 2005 - 2009. Cheques are accept but must be cleared before the item is collected or dispatched. No labour cost or garage fees will be covered under any circumstances. FITS DISCOVERY 3 FROM 2005 - 2009. Cheques are accept but must be cleared before the item is collected or dispatched. No labour cost or garage fees will be covered under any circumstances. PERFECT WORKING ORDER AND GOOD CONDITION. Equivalent to part number ESR2242. Defender - 90/110/130 - from VIN AA243342 to WA159806. Any item which has failed will be subject to their inspection. The manufacturer's decision on any warranty claim is final. LAND ROVER RANGE ROVER CLASSIC V8 PETROL 1987 ONWARDS. PARTS COLOUR MAY VERY DUE TO MANUFACTURE PRODUCTION. PART NUMBERS ARE FOR REFERENCE ONLY AND DO NOT IMPLY THE MANUFACTURER. ALL SPECIFICATIONS ARE SUBJECT TO CHANGE. Fuel Tank Front Support Bracket / Mount Galvanised. All Defender 90 models upto 300Tdi models (fuel tank under drivers seat). FREE CARRIAGE APPLIES TO MAINLAND UK ONLY. Pictures are for reference only and specifications may alter without notice. FOR A LANDROVER DEFENDER 110. NTC2017 Tank. WFE000190 Tank. Land Rover Defender 110 & 130. 1986 to 1998. Land Rover Part Numbers are. Land Rover Defender 90 & 110. Fuel Filler Neck 86 to 98. Land Rover Series 2 2A & 3 SWB 88" Fuel Tank Fitting Kit for 552174. 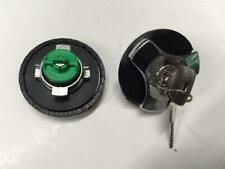 Reference Part Number - DA2542. LAND ROVER SERIES 2 2A 3 SWB 88" UNDER SEAT PETROL DIESEL FUEL TANK KIT You are purchasing an original style fuel Tank to suit Series 2, 2A 3 Land Rovers. This is suitable for both petrol and diesel models and was used on all short wheel base Land Rovers and some long wheel bade models. This is not the military style tank with the filler under the seat. KIT COMPRISES OF: TANK - 552174 FITTING KIT - DA2542 SENDER UNIT - 90560612 Compatibility: Land Rover Series 2/2a/3 - 88" SWB Petrol and diesel models Land Rover Series 2 - 109" LWB Petrol and diesel models PART NUMBER - 552174KIT. YOU WILL GENERALLY GET A REPLY WITHIN AN HOUR. Equivalent to Land Rover 599234 (used for reference only). Land Rover Series 3 – LWB 109 Petrol and Diesel. PARTS >> ACCESSORIES >> DEFENDER SERIES DISCOVERY 1 1989 to 1998 DISCOVERY 2 1999 to 2003 DISCOVERY 3 2005 to 2009 DISCOVERY 4 2010 to 2016 DISCOVERY SPORT 2015 on FREELANDER 1 1996 to 2006 FREELANDER 2 2006 to 2014 RANGE ROVER CLASSIC RANGE ROVER P38 RANGE ROVER L322 2002 to 2012 RANGE ROVER L405 2013 on RANGE ROVER SPORT RANGE ROVER EVOQUE UPGRADES >> TOOLS,OILS AND OTHER DIY >> Books Manuals and Gifts. 2002 LAND ROVER DEFENDER 110 MANUAL. FUEL TANK NO SENDER. LAND ROVER SERIES 2 2A 3 SWB 88 FUEL TANK. Surface rust only. Holds a full tank without issue. Collection is from Headcorn in Kent. Delivery may be possible - please check before purchasing. LAND ROVER FREELANDER 2. SUITABLE FOR DIESEL MODELS FROM 2007 TO 2014. FUEL TANK AND FUEL PUMP. LAND ROVER SERIES 2/2A/3 88” SWB. LAND ROVER SERIES 2 109” LWB. PARTS COLOUR MAY VERY DUE TO MANUFACTURE PRODUCTION. PART NUMBERS ARE FOR REFERENCE ONLY AND DO NOT IMPLY THE MANUFACTURER. ALL SPECIFICATIONS ARE SUBJECT TO CHANGE. LAND ROVER DISCOVERY 3 2.7 TDV6. FUEL TANK AND FUEL PUMP. SUITABLE FOR MODELS FROM 2005 TO 2009. THIS IS A USED PART SO MAY REQUIRE A CLEAN DEPENDING ON YOUR PERSONAL PREFERENCE. 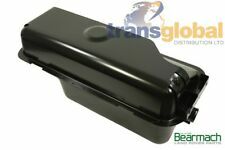 Allmakes Land Rover Series 2 2A & 3 Under Seat Petrol Diesel Fuel Tank - 552174. Manufacturer Part Number 552174. Reference OE/OEM Number 552174. MPN 552174. Land Rover Series 2/2a/3 - 88" SWB Petrol and diesel models. Fits all 109 LWB Land Rover Series 3 1975 onwards w ith rear mounted fuel tanks. Genuine British Made OEM Smiths Petroll Fuel Tank Sender 1975-84. BREAKING FOR PARTS LAND ROVER DICOVERY 4 SPORT L319 3.0TD V6 AUTO 256BHP ONLY COVER 87k 2013. MAKE SURETHE PART NUMBER MATCH WITH YOUR OLD PART. PAINT CODE CORRIS GREY. SECURITY MARKS. Land Rover Sereis 1 2 Early Type Fuel Tank Heavy Duty Good Condition . Condition is Used. Dispatched with Royal Mail 2nd Class. Manufacturer Part Number NTC2017. NTC2017, ESR2243, WFE000190. Reference OE/OEM Number NTC2017, ESR2243, WFE000190. MPN NTC2017. Bearmach Land Rover Defender Front Windscreen Washer Jet Twin Nozzle - LR061677. Part Number 90560612. With Petrol 2¼ Engines fitted. Suitable for Land Rover Series 2, 2a, 3 Models. 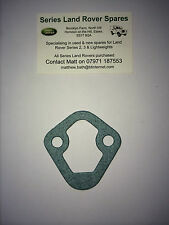 OEM Land Rover F uel Tank Sender. that the Highest Quality standards are maintained. Land Rover Series 2 2a 3 88 SWB Fuel Tank 543808 100% Stainless Steel Rear Fixing Plate. Full set of bushes (90508545), nuts, bolts and washers also available. Land Rover Series 3 LWB 109". 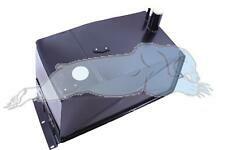 New fuel tank suitable for long wheelbase 109" Land Rover Series 3 Petrol models 1972 - 1984. Land Rover Series 3 109" Petrol from 1972 to 1984. In many cases your problem is easily resolved by a phone call. Equivalent to part No 552174 x1. Land Rover Series 2A / 3 1958- 1984. Any item which has failed will be subject to their inspection. The manufacturer's decision on any warranty claim is final. Manufacturer's Part numbers are used for reference purposes only. LAND ROVER DEFENDER 110 PETROL/DIESEL 1986 TO 1991. FUEL TANK ASSEMBLY. PARTS COLOUR MAY VERY DUE TO MANUFACTURE PRODUCTION. WE ARE HAPPY TO HELP YOU. 'BEARMACH' LAND ROVER DEFENDER 90 12 GALLON STEEL FUEL TANK PETROL DIESEL MODELS COMPATIBILITY: FITS ALL Land Rover Defender 90 models FROM 1986 UPTO 1997 NOT TD5 WITH PUMP IN TANK All models from (VIN) AA243343 to WA159806 PART NUMBER - ESR2242 Manufacturers part numbers are used for identification purposes only. **** PLEASE READ OUR WARRANTY, RETURNS DELIVERY TERMSBEFORE BUYING. Part Number: 552174. Suitable for: (Petrol & Diesel). Land Rover Series 2 & 3 New 'Original Style' Fuel Tank. Land Rover Parts. Range Rover Parts. This option only applies to the UK Mainland & orders placed before 2.30pm. Part number: 267837 x 2 gasket. Part number: 546488 x 1 gasket. L R Parts Ltd is an authorized Bearmach distributor, we specialize in new Land Rover Spares, stainless steel bolt sets for Land Rovers and general maintenance parts. Land Rover Defender 110 (1986-1991 Models). Unit 25 KELVIN WAY TRADING ESTATE. USEFUL LINKS. B70 7TW, UK. KELVIN WAY WEST BROMWICH, WEST MIDLANDS. Reference Part Number - NRC9474. LAND ROVER FREELANDER FUEL TANK CRADLE. WFZ000010 Fuel Tank Cradle. Part Number: WFZ000010. 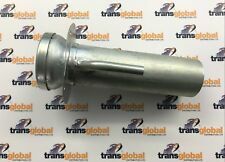 Land Rover Freelander 1 New Fuel Tank Support Cradle. Land Rover Freelander 1, (1998-2006). Freelander Parts. Series 2 & 3 - Defender 90/110/130, Discovery 1,2,3,4,5 & Sport - Freelander 1 & 2 - Range Rover Classic, P38, L322, L405, Sport & Evoque. BEARMACH LAND ROVER FREELANDER 1 FUEL TANK SUPPORT CRADLE THIS FUEL TANK CRADLE IS DESIGNED TO SUPPORT THE FUEL TANK IN PLACE UNDER THE VEHICLES BODY COMPATIBILITY: LAND ROVER FREELANDER 1 (1998-2006) PART NUMBER - WFZ000010 BEARMACH WARRANTY: THE PRODUCT HAS A THREE YEAR 'BEARMACH' WARRANTY. DETAILS: IF THE PART IS FOUND TO BE DEFECTIVE FOLLOWING AN INSPECTION BY THE BEARMACH QUALITY TEAM IN THE FIRST 12 MONTHS AFTER PURCHASE, DUE TO FAULTY MATERIALS OR WORKMANSHIP, THEN THEY WILL REPAIR OR REPLACE THE UNIT OR ISSUE A REFUND. IN THE SECOND AND THIRD YEAR OF WARRANTY, A REPLACEMENT WILL BE ISSUED. Manufacturers part numbers are used for identification purposes only. **** PLEASE READ OUR WARRANTY, RETURNS DELIVERY TERMSBEFORE BUYING.